Belotero is approved to smooth moderate to severe wrinkles and folds and enhances your contours whilst rehydrating the skin for added radiance. When injected into the dermis Belotero evenly integrates with your own dermal tissues providing a natural improvement to the skin. Belotero is a dermal filler that has the same component of your skins natural Hyaluronic acid, which diminishes over time. The resulting loss brings about the appearance of ageing through folds, creases, loss of volume of shape. Belotero is the natural choice for regaining a youthful appearance, when injected, it instantly plumps and adds volume to the areas where it has been lost. Even the finest lines can be treated with confidence with this quality dermal filler. Belotero is formulated to integrate into your tissue to provide subtle and even results without disrupting the natural contours of your face, so you can be confident that no one will ever know how you manage to look so refreshed and confident. 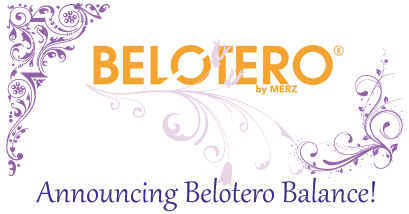 There is minimal disruption to the skin with Belotero as it integrates with your own tissue. The dermal filler can be positioned towards the surface of the skin, enabling a smooth even surface. At our Finchley Clinic we apply a topical anaesthetic cream to ensure a comfortable experience during your treatment.